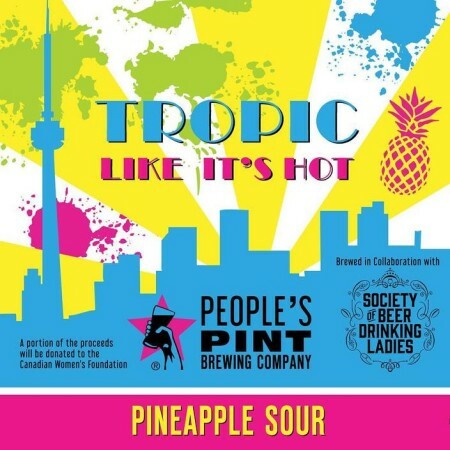 TORONTO, ON – Beers in the Six reports that People’s Pint Brewing and the Society of Beer Drinking Ladies (SOBDL) will be releasing a new collaborative beer this weekend. Tropic Like It’s Hot is a pineapple sour that will pouring in the SOBDL booth at the Because Beer festival in Hamilton this weekend (July 13th to 15th). It will also be available in the People’s Pint taproom and retail store starting on Saturday. Partial proceeds from the sale of Tropic Like It’s Hot will be donated to the Canadian Women’s Foundation.